Here is all the information you need to know to come and join us at the 2019 event. This is the 7th edition of the multi discipline event, we are hoping this will be bigger and better than ever before. SPECTATOR INFORMATION: It is free to come to the venue and spectate, we have an awesome merchandise shop and we do ask that you stop buy and make a small purchase or make a small donation as all profits from this event are donated to worthy causes. Here is what to expect during the event. Please note that whilst we do all we can to run this to schedule the timings could be a little different on the day but not by much! We do not allow spectators to take their vehicles around the site so you will have to make your way by foot. There is plenty to see without having to walk too far. 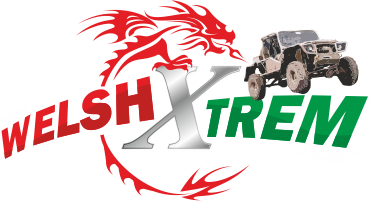 It is The Welsh Xtrem so bring your best Wellies. Might be a good idea to have an umbrella it is Wales in March after all. Parking can be difficult it is recommended that if you can come in a 4x4 it’s a good idea. the line up for the rest of the event! Safe Travels and see you all soon.